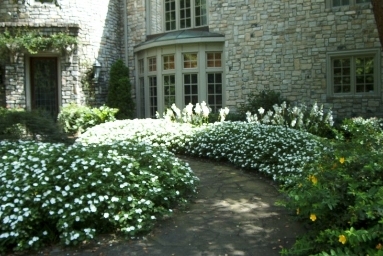 Considering a new landscaping project for your yard? You may be wondering if landscaping is a good investment. The short answer is yes—landscaping can provide a good return on investment, not to mention it enhances the appearance of your home while you live there. According to the American Society of Landscape Architects (ASLA), an investment of a five percent of the value of your home in landscaping can raise the value of a home by 15 percent and a generally accepted rule of thumb is to invest approximately 10 percent of the value of your property in landscaping. Just make sure you avoid common landscape design mistakes. Fortunately, with the right landscape company, avoiding mistakes is easy. An experienced landscaper like the team at Hutcheson Horticultural in Woodstock will be able to give you the best tips for raising the curb appeal and value of your home. Hutcheson Horticultural brings extensive experience in design and installation experience for a variety of landscaping services to help you enhance not only the value of your home but also the functionality and enjoyment of your outdoor living space. Patios, outdoor fireplaces and lighting, seasonal color, and much more. We do it all – landscaping design, installation, and maintenance for business owners and homeowners throughout the Atlanta area. For more information contact us at 770-924-1001 or use the convenient “Contact Us” feature on our website.